I. Tianjin Statistical Yearbook is a large-sized statistics publication to reflect various aspects of Tianjin’s economic and social development, which was started in 1984 and published year after year, having formed a series of yearbooks. Tianjin Statistical Yearbook 2018 takes Tianjin economic and social statistics of 2017 systematically, and other statistics of main years. The book is written in Chinese & English, and is equipped with electric CD. II. Written materials in the book include Statistical Communique on the 2017 National Economic and Social Development of Tianjin, Analysis of Tianjin Economic Situation 2017. In order to help readers using these statistical materials better, Subject Index is used to describe the framework of the book, and Explanatory Notes on Main Statistical Indicators are attached after each chapter. III. The major data sources of this book are obtained from annual professional statistical report, a few from sample surveys and departments’ statistics. IV. The units of measurement used in this book are internationally stander measurement units; sector listed in this table is classified by the standard of GB/T 4754-2011. When calculating per capital indicators, we use permanent population. V. Statistical discrepancies due to rounding are not adjusted in this book. VI. Notations used in this book: “blank” indicates the data not available or the figure is not large enough to be measured with the smallest unit in the table. “#’ indicates the major items of the total. VII. As a result of keeping consistent with data of census, surveys and checks, the change of national statistics system and adjustment of figures provided by departments some data in this yearbook is different from former yearbook. When using historical data, users should take the data of this book as standard. VIII. 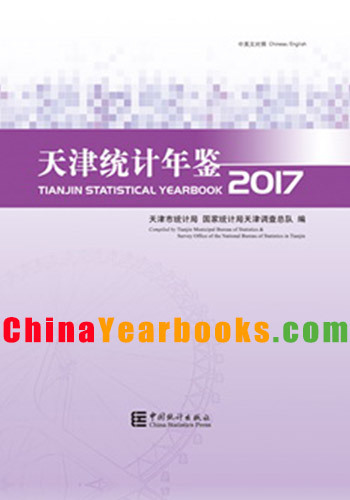 Since Tianjin Statistical Yearbook had been published openly, we have been concerned and supported by the readers at home and abroad. They advance much valuable suggestion on content and edition of the yearbook, we deeply thanks for this all. Based on our limited level, perhaps there are some mistakes in this book, we welcome all of the readers give us your criticism in order to help us further improving our edition level, and providing services for the readers better. 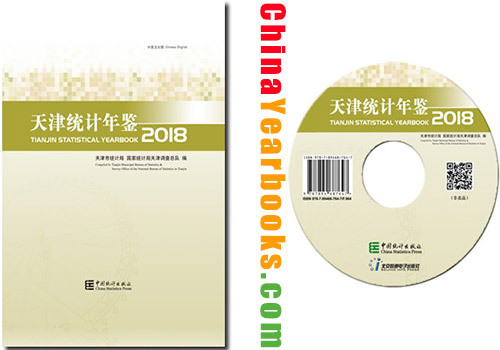 Tianjin Statistical Yearbook is a large-sized statistics publication to reflect various aspects of Tianjin’s economic and social development, which was started in 1984 and published year after year, having formed a series of yearbooks. 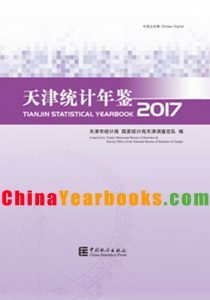 Tianjin Statistical Yearbook 2017 takes Tianjin economic and social statistics of 2016 systematically, and other statistics of main years. The book is written in Chinese & English, and is equipped with electric CD. Written materials in the book include Statistical Communique on the 2016 National Economic and Social Development of Tianjin, Analysis of Tianjin Economic Situation 2016. In order to help readers using these statistical materials better, Subject Index is used to describe the framework of the book, and Explanatory Notes on Main Statistical Indicators are attached after each chapter. The units of measurement used in this book are internationally stander measurement units; sector listed in this table is classified by the standard of GB/T 4754-2011. When calculating per capital indicators, we use permanent population. Notations used in this book: “blank” indicates the data not available or the figure is not large enough to be measured with the smallest unit in the table. “#’ indicates the major items of the total.